Applying for student loans doesn’t have to put you in debt for the rest of your life. 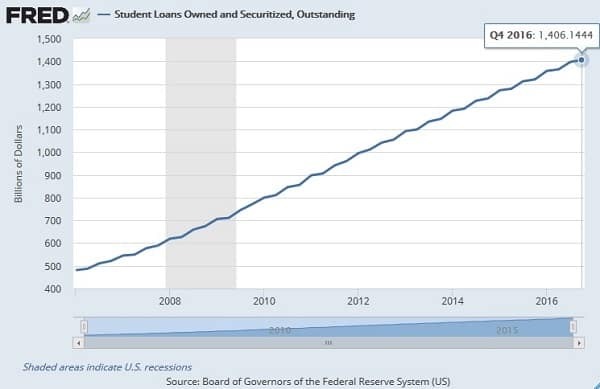 Everyone’s talking about the student loan bubble, how it could be the next financial crisis and how it is saddling a whole generation of students with soul-crushing debt. It’s enough to make applying for student loans a serious downer. Getting a post-secondary education can be one of the best investments you ever make. One study shows that the return on a college degree amounts to roughly 12% a year on your money…that’s way above the 8% return on stocks. Getting a little help through student loans doesn’t have to mean a lifetime of living in debt or that you get sucked into the next financial calamity. Let’s first look at the student loan bubble, how it started and why it’s a problem. After that, I’ll show you everything you need to avoid the bubble including how to choose the best student loan programs and how to stay on top of your loans. There’s even something for the parents with some tips at the end of the article about how to help your student build good credit. What’s the Deal about the Student Loan Bubble? What is the student loan bubble everyone is talking about and is it really a problem? I mean, really, money spent on college should be one of the best investments you can make. How could that be a problem. The problem is there’s something wrong with the student loan market in America. Student loan balances have boomed to more than $1.4 trillion from less than $500 billion just a decade ago. More than 44 million Americans have student loan debt with an average payment of $351 a month. All that in itself isn’t the problem. After all, maybe more people are getting an education and it’s good that they are able to get money for it. A report by the eighth district of the Federal Reserve shows why the boom in student loans is a problem. Serious delinquencies, more than 90 days past due on the most recent payment, increased for all types of loans during the recession. For mortgages and auto loans, delinquencies started falling after 2011 as borrowers got back on their feet. That didn’t happen for student loans. 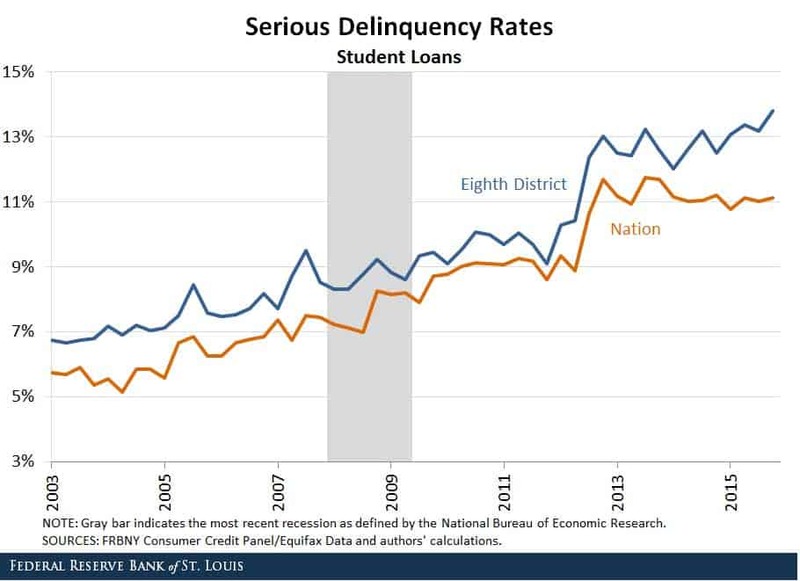 In fact, student loan delinquencies have soared. Just 11% of loans seriously delinquent doesn’t sound so bad until you consider that’s almost five million people and doesn’t include the eight million already in default on their student loans. That’s 13 million Americans in serious financial trouble. And the reality could be much worse. More than a third of all student loans, about $440 billion, are still in deferment, forbearance or in a grace period. When these loans start requiring monthly payments, delinquencies could jump. Not only will the coming collapse hit the economy but new people applying for student loans won't be able to get approved. The student loan market will completely shut down. What Caused the Student Loan Bubble? Lower state funding from the federal government over the last decade caused states to cut back on student financial aid. Lower equity in home values to be used for post-secondary education didn’t help either. But the biggest culprit is on the explosion in for-profit colleges. Students of for-profit colleges have loans of $39,950 on average, well above the average loan balance of $25,550 for students of public universities and even above the average $32,300 owed by students of private colleges. For-profit schools made it super easy to apply for student loans, both through private and federal sources. These schools spend more than 50% of their funds marketing for new students and much less on education. Graduation rates for students at for-profit colleges are well under those of public schools and default rates are nearly double the rate of students at public or private universities. Consumer spending fuels 70% of the U.S. economy and that just isn’t happening with so many Americans so deeply in debt. Millennials are strapped with loans and putting off buying a home and other big purchases. In case this sounds eerily familiar consider that a major factor in the 2008 financial collapse was the fact that government institutions like Fannie Mae and Freddie Mac had backed so many bad home loans. The whole house of cards is repeating itself with a different group of loans. The student loan bubble isn’t just an economic collapse waiting to happen. Bad student loan debt can destroy your personal financial life as well. Student loan payments more than 60 days late will show up on your credit report and damage your score. Most students don’t have much credit history or a great FICO score anyway so hitting it with a missed payment won’t help you any if you need another loan. Loans approaching a year in delinquency will be marked in default and sent to a collection agency. Besides the nightly calls to collect the money, it will destroy your credit score. The hit to your credit score will vary but it’s usually between 50 and 100 points. The collection agency is legally allowed to take a percentage of your wages to pay off your student loans. On federal loans, they can take up to 15% of your paycheck but that amount jumps to 25% for private loans. Say you’re fortunate enough to find a good job and make about $4,250 a month…you just lost over $1,000 of it to wage garnishment on your student loans. Not having enough income to make your monthly loan payments is not considered undue hardship and I’ve only ever met one person that was able to get their loans wiped. Even if you manage to discharge your student loans in bankruptcy, you’ll be dealing with one of the worst financial situations to impact your credit. A bankruptcy can remain on your credit report for up to ten years, making it difficult for you to gain access to other credit lines in the meantime since many lenders have “bankruptcy filters” in their underwriting. Student loan problems aren’t just an issue for your financial life but can lead to depression and marital problems. Hopefully, all that hasn’t put you off higher education and finding a way to pay for it. The student loan bubble is a huge problem but does nothing to diminish the advantage you get with a degree. You’ll make more money and have more job choices after post-secondary education. There are some things you need to know before applying for student loans, no matter where you decide to go to school. Know how to choose a student loan and how to avoid becoming a statistic in the student loan crisis. Check the interest rate on loan offers before you apply and agree to the terms. There can be a big difference in interest rates on student loans and finding the best rate could mean saving hundreds a year on payments. Direct subsidized loans are generally the cheapest with rates as much as 3% lower than unsubsidized and Direct Plus loans. Get a fixed rate on your loan. Fixed rate loans mean your interest rate and payments do not increase when other interest rates increase. Variable-rate loans may be cheaper at first but can increase quickly if rates do. Changing rates is what hit a lot of homeowners in the housing bubble when they suddenly couldn’t afford their mortgage payments. The interest on subsidized loans doesn’t accrue until after you graduate or leave school. But interest on unsubsidized loans begins to accrue the moment the federal government distributes the loan, which is generally while you are still in school. The direct unsubsidized loan interest rate is also higher than for a subsidized loan. While federal student loans have standard interest rates set by the government, the variable-interest rates on private loans can fluctuate dramatically. After you graduate, you will have a chance to consolidate your student loans. This can be helpful because it will put all your loans on one monthly payment and can decrease the amount you pay each month by stretching out the payments. Some loan consolidation comes with expensive increases in interest rates though. Extending the number of years you pay your loan will also increase the total amount you pay in interest. The most important point is that you find a monthly payment that is realistic. Paying a little more in interest is not a bad deal if it will save you from falling into the student loan crisis with missed payments and a loan in default. Hitting your credit report with a delinquent student loan can reduce your credit score by as much as 100 points. That will mean interest rates on any new loans will jump to double-digits. I found the average interest rate by credit score in an earlier post. Good credit borrowers typically got loans around 7% to 10% while bad credit rates shot up to 20% and higher. An increase of 1% on a $30,000 loan means approximately $300 a year in interest so imagine having your rates jump by 10% or more. There are several repayment plans that you can use to help manage your student loans. Changing repayment plans may be limited so it’s important to find the right one for your needs before you commit. While the standard 10-year repayment plan will mean less interest paid on your student loan, it’s also the hardest to make payments on when you first graduate. Payments are fixed but start at the same level they’ll be for the life of the loan. I have my student loans on the income-based repayment plan. I like it and feel it gives the most flexibility, especially to people with fluctuating income like independent contractors and the self-employed. When you’re just starting your business, your student loan payments will be low enough to not be a problem and they’ll never be higher than the comparable 10-year repayment plan. 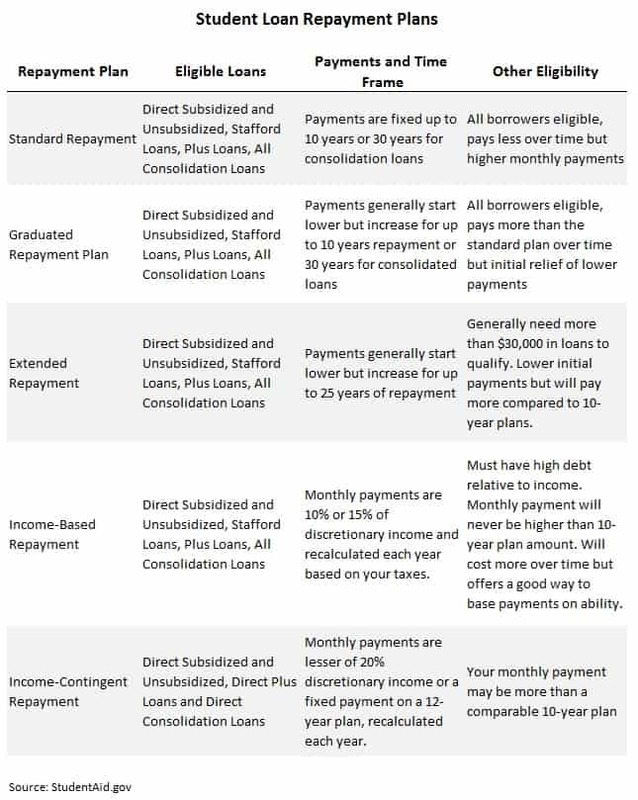 The income-based repayment plans can also be great options for those working for federal or local government institutions. The Public Service Loan Forgiveness (PSLF) program offers the opportunity to forgive any student loans you still owe after ten years working for an approved institution. For the parents of new college students, there’s good news and bad news. The bad news is that the booming student loan bubble is a financial noose tightening around the younger generation and nearly four in five will move back in with their parents after they graduate school. The good news is that there are things you can do to help your student build good credit and avoid the worst of the coming financial crisis. It’s important that students start building good credit before they graduate and go to consolidate loans. Building up their credit score before consolidation will mean more options and lower rates on student loans as well as lower payments. Consider opening a credit card account in the student’s name. If they are able to manage the card on their own, let them use it but only for essentials. Otherwise, just add your name as an authorized user and use it for your own monthly expenses. Pay the card off each month and your student will start building a positive credit history. If you buy anything on installments, consider putting it in the student’s name. Make sure you keep up with payments and it will further help build their credit score as the loan is paid off over a few years. Applying to student loans shouldn’t be something you avoid for fear of the student loan bubble. Filling out the FAFSA and getting student loan money can be fairly easy and your opportunity to more financial options in the future. 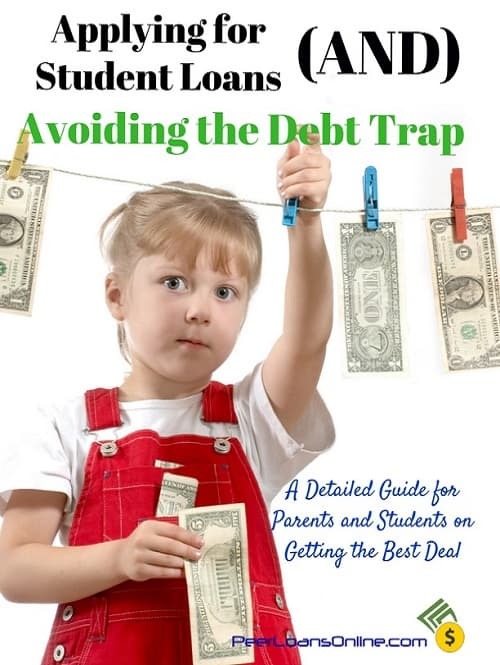 Understand how to apply for student loans and how to get the best deals without destroying your credit along the way.